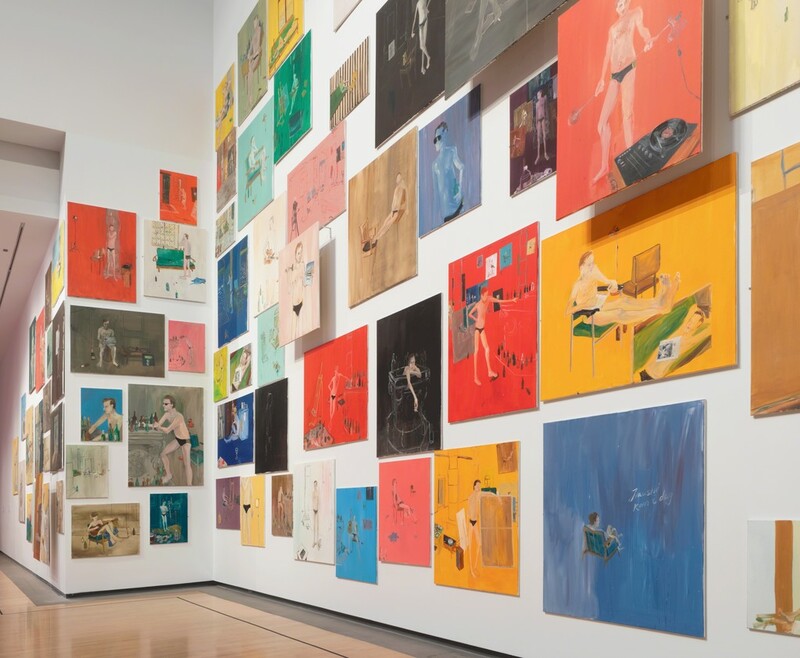 Installation view of Ragnar Kjartansson: Scandinavian Pain & Other Myths (Phoenix Art Museum, Arizona, November 3, 2018 – April 14, 2019). Photograph by Airi Katsuta. Ragnar Kjartansson: Scandinavian Pain & Other Myths highlights recurring themes in Kjartansson’s work, such as identity, melancholia, repetition, and popular culture. Phoenix Art Museum presents the Southwestern US premiere of work by Icelandic artist Ragnar Kjartansson (b. 1976), one of the most celebrated contemporary artists in the world, in Ragnar Kjartansson: Scandinavian Pain and Other Myths. From November 3, 2018 through April 14, 2019 in the Ellen and Howard C. Katz Wing for Modern Art, guests can experience three multisensory works by the artist that explore themes of Nordic identity, melancholia, repetition, and popular culture. Known for the performative aspects of his art, Kjartansson has displayed his works in renowned museums around the world, including the Migros Museum in Switzerland, The Guggenheim in New York City, and the Hirshhorn Museum and Sculpture Garden in Washington, D.C. Phoenix Art Museum becomes one of only ten American museums to welcome the addition of “The Visitors” to their collection. Kjartansson was born in Reykjavik, Iceland. Growing up, his mother was an actress and his father was a director and playwright. This theater-centric upbringing would later inform his artistic practice as he experimented with durational and repetitive performance pieces, attempting to discover new meaning in the simplest of words and actions through reiteration and time progression. 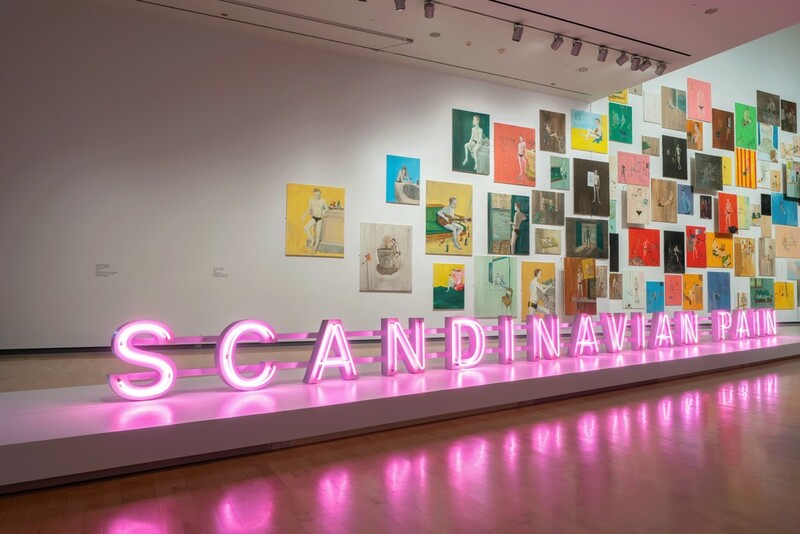 Also featured in the exhibition is the 40-fot long neon installation titled Scandinavian Pain, along with The End, a prime example of endurance-based art and Kjartansson’s contribution to the 2009 Venice Biennale. Secluding himself in a fourteenth-century palazzo, Kjartansson made one painting per day for six months, each depicting the same friend in a Speedo. The resulting—and rarely exhibited—144-piece installation, displayed in a salon-style space, is at once complex and over-simplified, making it a can’t-miss experience for the Phoenix community. Ragnar Kjartansson: Scandinavian Pain and Other Myths offers Museum guests the chance to experience first-hand one of today’s rising contemporary stars. Kjartansson’s artwork is more than a series of paintings or a simple video; it is a master-class in elevating the mediocre, playfully facing failure, and finding new ways for audiences to personally experience the artistic process without even lifting a paintbrush.